Vioro’s unusual name is derived from the fusion of the Italian word for flower (fiore) and truth (vero). This shopping mall is located in the heart of Tenjin, and gathers a range of high-end stores of many genres. Fashion, however, is not all that they have offer – there are various trendy cafes and restaurants on the first and second basement levels, plus the fourth, fifth, sixth and seventh floors. The seventh floor in particular is worth your time for the views of Tenjin from your table or the bar. Vioro is particularly well-organised, meaning that if the crowds are abuzz, you’re unlikely to notice. Michal Negrin offers a beautiful collection of vintage ready-to-wear jewelry and accessories all made in Israel. This worldwide brand combines both traditional and modern styles, all full of colour and superb quality. In a spacious setting, this unique shop stocks various items, from clothes and hats to tableware and beyond. What’s eye-catching about this store is their useful “eco bag” – with over a hundred cute options, there’s sure to be one for you! Tree of life is a specialist aromatherapy store – why not pick up something from their wide collection of herbs to help you relax after a hard day of work? You can also enjoy their all-natural scents in perfumes, body creams, candle and much more. Originally a French boutique that specialized in ballet shoes, with time this brand has developed a great reputation for their colourful and light ballet pumps. It’s worth a visit for the traditional decor, featuring a dance training room with luxurious curtains and a balance bar. Featuring various exclusive brands from Alexander McQueen, Maison Michel to Marc Jacobs, this store is a great place to check out high-end brands that each have their own distinct style. Why not try something new? This neon bar on a rooftop indoor/ outdoor terrace has a particularly stunning view, making it a great spot for your evening meal. This restaurant also hosts wedding receptions for anyone planning on tying the knot soon! In this pastry cafe you can enjoy delicious homemade cake, scones, crepes and much more. This bistro-cafe fuses Western and Japanese style, with tasteful Western decor but tasty Japanese dishes. There’s a great view from the terrace which adds to the atmosphere. How to enjoy? This centre is particularly well-organised and spacious, so you can shop efficiently if need be, but if you’re just browsing then the abundance of cafes and restaurants make for a relaxing and enjoyable day. For Children: Ribbon (B2F) will perhaps please parents more than the children themselves, but who wouldn’t want to dress their child like a star?! There’s a large range of cute kids wear plus accessories and toys. For Men: There are many shops that stock high-quality menswear. For Women: VIORO is a great place for a day of shopping, with bags, jewelry, housewares, shoes & clothes! The main fashion style available is classic but casual. For Tourists: For souvenir shopping we recommend LT LOTTO AND TRES (6F) for traditional Japanese items that would make great gifts. What’s nearby? 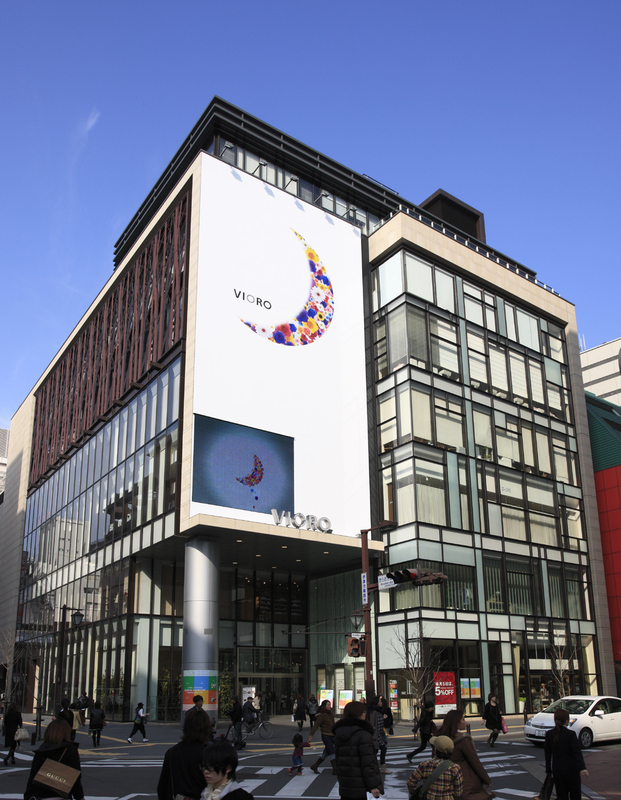 VIORO located very centrally in Tenjin, with Parco, Iwataya and Solaria Plaza department stores all a stone’s throw away! Originally written for Fukuoka Now June 2013. NOTE: The information presented here was gathered and summarized by Fukuoka Now staff. While we have done our best to check for accuracy there is a possible of error and facility details may change. If you notice any errors or changes please contact us. This report was originally written in June of 2013.